The Porsche 928 is a sports-GT car that was sold by Porsche AG of Germany from 1978 to 1995. Originally intended to replace the company’s iconic 911, the 928 combined the power, poise, and handling of a sports car with the refinement, comfort, and equipment of a luxury sedan to create what some Porsche executives thought would be a vehicle with wider appeal than the compact, quirky and sometimes difficult 911. Since its inception in 1949, Porsche has manufactured only six front-engined models, four of which were coupes, including the 928. The car has the distinction of being the company’s only coupe powered by a front-mounted V8 engine, and the company’s first mass-produced V8 powered model. By the late 1960s, Porsche had changed significantly as a company, and executives including owner Ferdinand Porsche were playing with the idea of adding a luxury touring car to the line-up. Managing Director Ernst Fuhrmann was also pressuring Ferdinand to approve development of the new model in light of concerns that the current flagship model at the time, the 911, was quickly reaching its maximum potential where it could soon no longer be improved upon. Slumping sales of the 911 seemed to confirm that the model was approaching the end of its economic life cycle. Fuhrmann envisioned the new range-topping model as being the best possible combination of a sports coupe and a luxury sedan, something well equipped and comfortable enough to be easily driven over long distances that also had the power, poise and handling prowess necessary to be driven like a sports car. This set it apart from the 911, which was a pure sports car. Porsche introduced a refreshed 928 S into the European market in 1979 model year, although it was summer of 1982 and MY 1983 before the model reached North America. Externally, the S wore new front and rear spoilers and sported wider wheels and tires than the older variant, but the main change for the 928 S was under the hood, where a revised 4.7 L engine was used. European versions debuted with 300 PS (221 kW/297 hp), and were upgraded to 310 PS (228 kW/306 hp) for 1984 model year, though it is rumored [and proven on chassis dynamometers] that they typically made around 330 hp. From 1984 to 1986, the ROW (Rest of World) S model was called S2 in UK. These cars used Bosch LH-Jetronic fuel injection and purely electronic Bosch ignition, the same systems used on the later 32-valve cars, though without the pollution controls. North American-spec 1983 and 1984 S models used, among other differences, smaller valves, milder camshafts, narrower intake manifolds, and additional pollution equipment in order to meet emissions regulations, and were limited to 234 hp (174 kW/230 PS) as a result. 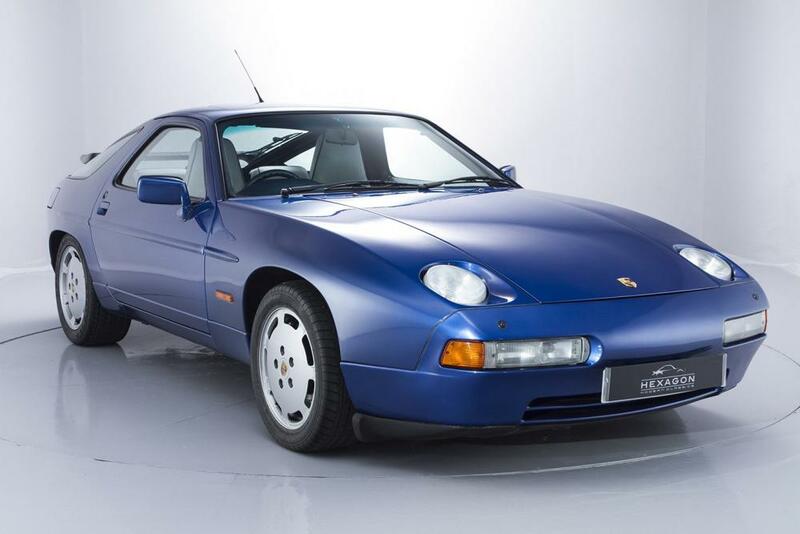 The 928 S4 variant debuted in the second half of 1986 as a 1987 model, an updated version of the 5.0 L V8 for all markets producing 320 PS (235 kW/316 hp), sporting a new single-disc clutch in manual gearbox cars, larger torque converter in automatics and fairly significant styling updates which gave the car a cleaner, sleeker look. S4 was much closer to being a truly world car than previous models as only major differences between ROW and US models were instrumentation in either kilometers or miles, lighting, front and rear bumper shocks and the availability of catalytic converters in many ROW markets. The Australian market version was only one with different horsepower rating at 300 PS (221 kW/296 hp) due to preparation for possible low grade fuel. Even this was achieved without engine changes.